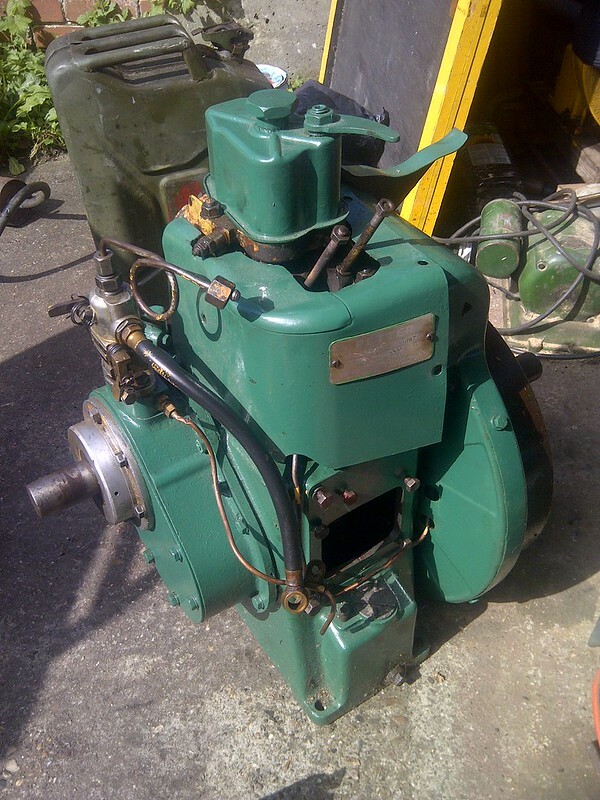 A Petter A type air cooled stationary engine before restoration. Vintage stationary engines are now to be found at every steam rally and vintage event you visit. They originated in the late 1800’s and performed a multitude of tasks before the wide availability of electricity to power machinery. They were most commonly found on farms, powering sheep-shearing machines, milking machines, water pumps and a million and one other things. If it had a handle that was previously turned by hand, now it was turned by a belt-drive to a stationary engine. My collection started a few years ago with a single Lister ‘D’ type. But E-Bay can be a very tempting thing and now I have a garage full. Some of which are in better repair than others! A partly restored Petter PAZ1 single cylinder diesel engine. I’ve been taking a similar PAZ 1 to shows for a number of years, running on cooking oil to demonstrate how easy it is to use alternative fuels.